In the tradition of Lorrie Moore, Claire Vaye Watkins, and Rebecca Lee, this debut story collection cuts into the sometimes dark heart of the American family From the tense territory of a sagging, grand porch in Texas to a gated community in steamy Thailand to a lonely apartment in nondescript suburbia, these linked stories unwind the lives of three families as they navigate ever-shifting landscapes. Wry and sharp, dark and subversive, they keep watch as these characters make the choices that will change the course of their lives and run into each other in surprising, unforgettable ways. The Bowmans are declining Texas gentry, heirs to an airline fortune, surrounded by a patriarch's stuffed trophies and lost dreams. They will each be haunted by the past as they strive to escape its force. The Fosters are diplomats' kids who might as well be orphans. Jill and Maizie grow up privileged amid poverty, powerless to change the lives of those around them and uncertain whether they have the power to change their own. The Guzmans have moved between Colombia and the United States for two generations, each seeking opportunity for the next, only to find that the American dream can be as crushing as it is elusive. 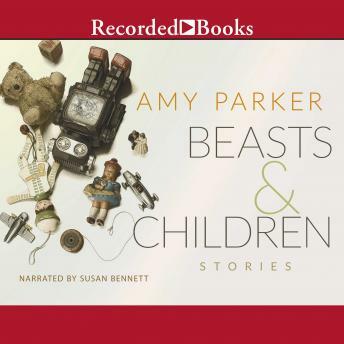 Amy Parker's debut collection considers--with an unfailingly observant eye--our failures and our successes, our fractures and our connections, our impact and our evanescence. She marks herself a worthy heir to the long tradition of smart women casting cool and careful glances at the American middle class.